Gregory Verte 25 Backpack. 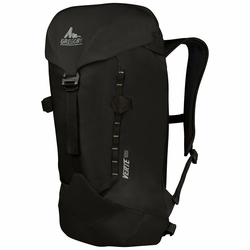 A tough, compact alpine pack that is perfect for on-route pursuits. With the ability to stuff into its own top pocket, this pack can stow in your big pack or go with you on a fast summit attempt. The removable foam framesheet and waist belt webbing allow the Verte 25 to become even more streamlined when counting grams.